Mike is one of the most knowledgable and helpful muzzleloader hunters on the web. 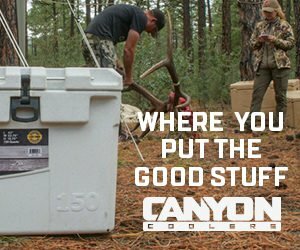 He is very well known on the top muzzleloading forums out there. So much so, that the Rokslide owners personally invited him to join the Rokslide Prostaff, something they’ve done with very few people. Mike grew up in the Boise, Idaho area. His his introduction to hunting came at a very young age hunting small game with a single-shot Steven .22 rifle. His love for hunting was interrupted in 1962 for a four-year stint in the Navy serving aboard a CVA-19 aircraft carrier. On his return to Idaho, he discovered that hunting in Northern Idaho was too fine to return to his Boise roots. Fifty-five years later he continues to hunt elk, whitetails, and turkey in Idaho’s land of the North. About 2004, Mike returned to his single shot roots making the switch from modern centerfire rifles to the wonderful world of muzzeloading. His collection of muzzleloaders ranges from a Lyman 54 Trade rifle, to Renegades, to Inlines, to a barrage of Knight Muzzleloaders. Mike is also member of the Knight Rifle prostaff. He is widely recognized in the muzzleloading industry as a true expert in the field. 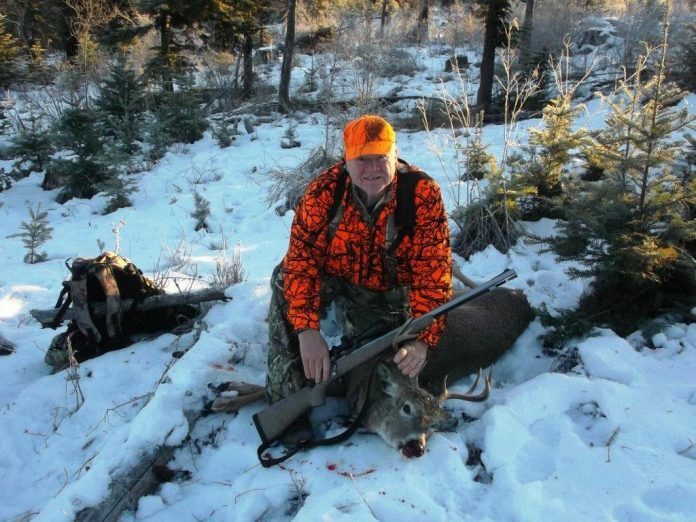 Besides Idaho’s special muzzleloader-only seasons, Mike frequently hunts the centerfire seasons packing only his trusty muzzleloaders, a testament to his commitment to the smoke pole. Mike brings a wealth of muzzleloading knowledge to Rokslide that is hard to match. You’ll find him on the muzzleloader forum helping members improve their rifle’s performance. He and his wife Terry reside in Moscow, Idaho. Mike is one of the most knowledgable and helpful muzzleloader hunters on the web. He is very well known on the top muzzleloading forums out there. So much so, that the Rokslide owners personally invited him to join the Rokslide Prostaff, something they've done with very few people. Mike grew up in the Boise, Idaho area. His his introduction to hunting came at a very young age hunting small game with a single-shot Steven .22 rifle. His love for hunting was interrupted in 1962 for a four-year stint in the Navy serving aboard a CVA-19 aircraft carrier. On his return to Idaho, he discovered that hunting in Northern Idaho was too fine to return to his Boise roots. Fifty-five years later he continues to hunt elk, whitetails, and turkey in Idaho's land of the North. About 2004, Mike returned to his single shot roots making the switch from modern centerfire rifles to the wonderful world of muzzeloading. His collection of muzzleloaders ranges from a Lyman 54 Trade rifle, to Renegades, to Inlines, to a barrage of Knight Muzzleloaders. Mike is also member of the Knight Rifle prostaff. He is widely recognized in the muzzleloading industry as a true expert in the field. 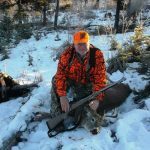 Besides Idaho's special muzzleloader-only seasons, Mike frequently hunts the centerfire seasons packing only his trusty muzzleloaders, a testament to his commitment to the smoke pole. Mike brings a wealth of muzzleloading knowledge to Rokslide that is hard to match. You'll find him on the muzzleloader forum helping members improve their rifle's performance. He and his wife Terry reside in Moscow, Idaho.